Stella needs a rest now and again-- she's a wily one! Scandi again, with his brother Ranger wondering what he's up to. Bogie wanted to show his buddy that he knew how to do it too! Now meet Hank! He is an eight year old, one hundred & fifteen pound, Black Labrador Retriever. He and his owner reside in Oregon, but every so often have to travel North for business. Rather than stay in a hotel, Hank gets to come to Fort Fido. Lucky Dog! Hank is one good ol' boy. He entered into the Big Roll with style and ease... That's pretty darn awesome for an "older fella". Hank was cool, calm, and collected. This well adjusted canine has mastered the fine art of dog communication. We enjoyed having him here and he certainly had a lot of fun here. 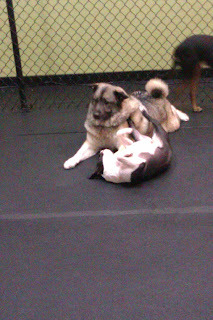 Hank played quite a bit, and carried himself with the flair of a long-time pack member. Swell job Hank, way to keep up with some of them youngin's. Meet Bernie! He is a strikingly-handsome, two year old, sixty-three pound, Labradoodle. 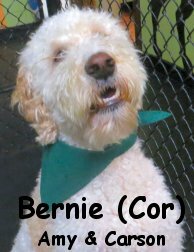 Now Mr. Bernie is here at The Fort to gain some extra confidence, and we think that he will by attending Dog Daycare. He sure did a nice job today in the Big Roll. He met with a few other canines and also played just a little bit. Given some time and consistency, we believe Fort Fido will benefit Bernie immensely. With regular attendance, the "Dialing-In" of his social skills is highly likely. We hope that this sharp canine will meet up with us again soon, well done Bernie. Today Jacob got some great clips from all three play areas. 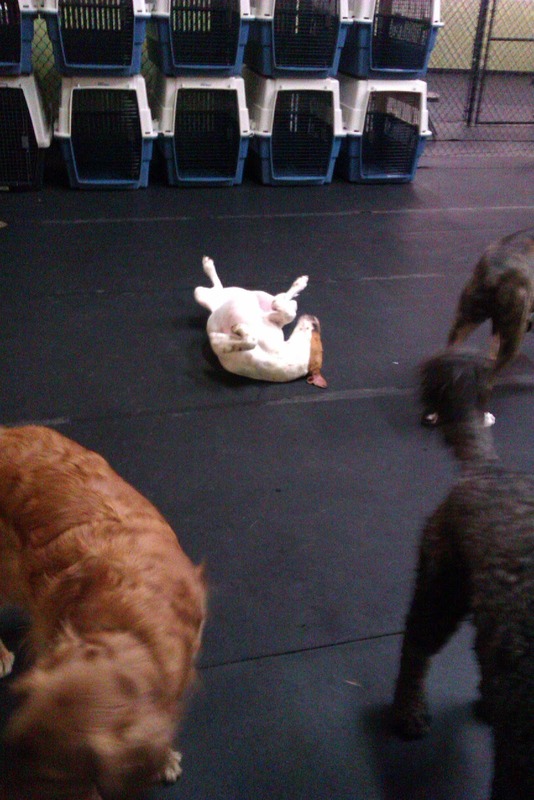 First up is Stella (The Boxer) and Jack (The Lab) Having some fun over in the Big roll. Next, Jackson and Lucy (The 2 Labradoodles) playing with Marlee the cocker spaniel. 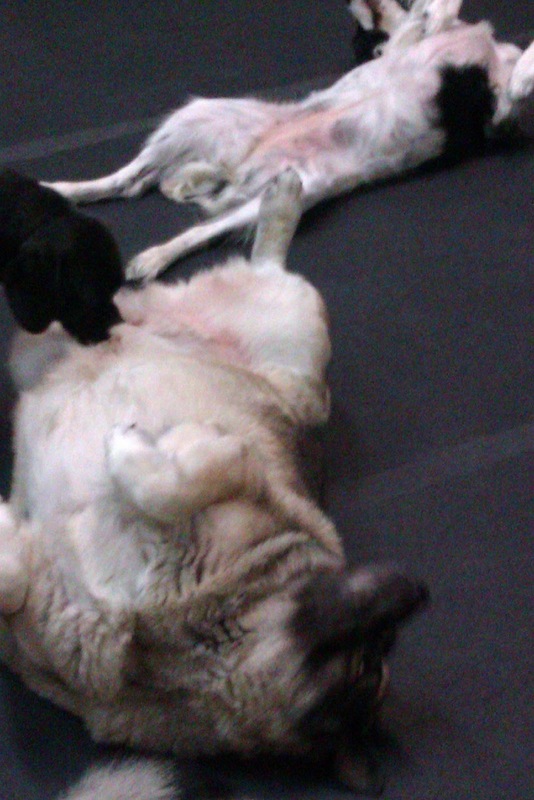 And finally, we have a clip of all the upstairs dogs playing a good game of fetch. 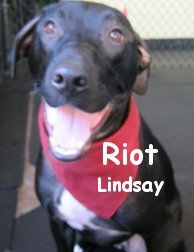 This morning we got to become acquainted with Riot, a fun-loving and high-energy Lab-mix. This cool dude went in with the big pups, and made fast friends with a few of the other high-energy guys--mainly Zipper, who didn't let Riot spend too much of his time missing his mom. I know that I always appreciate having a friend to distract me with something fun, if I'm feeling a little down! Riot is such a playful guy that when he gets used to the routine, I'm sure that he'll spend even more of his time playing and making new friends here at the Fort. P.S.-- Check out this picture. Couldn't really think of a way to relate it, but it was way too funny to pass up! Saw this on George Takei's facebook page--priceless! 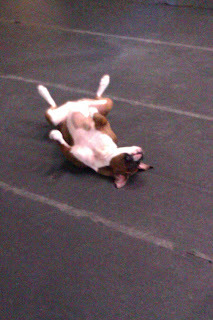 Upstairs, Buckwheat and Dixie took a break from ball time to have a little romp-- all caught on film! And here's another cool segment of dogs in the news! A neat experiment shows that dogs can recognize the faces of other dogs and categorize them together, even when the "dog" is represented by many different breeds. Given a choice between a picture of a dog (for which they were rewarded with a treat) and a non-dog species (no such reward), all dogs who participated in the test were able to quickly group dogs together. Even when the dog represented was a husky, chihuahua, or basset hound, they knew which of these things was not like the others! A tracking dog has saved the life of an elderly woman suffering from Alzheimer's, who walked away from her home in Michigan during dangerous weather, wearing only her pajamas. The super-sniffer was called in when a human search wasn't turning up much, and the weather was deemed far too dangerous (down to just 12 degrees with wind chill). Now that's some good deed! If you buy dog treats from Petco, check this recall list-- pet food manufacturer Kasel Associates Industries if recalling dozens of different varieties of treats due to possible salmonella contamination. They are all jerky-style, meat treats, so please take a peek if you are concerned your pet may have been exposed. An extremely lucky chihuahua survived twenty minutes in a burning home-- nobody thought he would make it through the blaze, but firefighters spotted him unharmed, and were able to grab the little guy and return him to his owner's arms. I hope that Dave and Nancy are having a good time on their dog-sledding trip! Hopefully they bring back some cool pictures like this one. First this morning we had the pleasure of meeting Rosey. 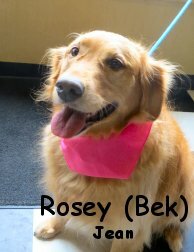 Rosey is a playful, 6 year old Golden Retriever. Rosey did a great job this morning and made a bunch of new friends! She especially liked playing with Phoebe. Next up is Lucy. 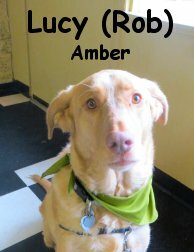 Lucy is a wonderful, 6 year old, Vizla/Lab mix. Lucy also did great this morning and really enjoyed her self over in the Medium roll. She had lots of fun today and made quick friends with Marley. Right on! I've scored three, absolutely grand pics, of a few awesome Fort Fido Pack Members. Please check them out, click on the photos to enlarge them. The first two photos, are of the ever-so-photogenic Buddy. 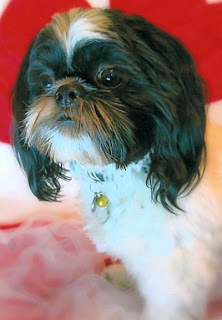 This Shih Tzu Man definitely knows how to strike a pose! I'll tell ya though, he isn't just a glamour shots model, this dog is a real player. He can (and does) handle himself with any dog that comes his way, large or small. Now, for one of my favorites, get a load of Riley. His ma found him surfing the web, landing on his favorite Blog and Youtube Channel... Who'd a thought? Hahaha! At last, here is something rather exquisite, for you fine-art lovers out there. Follow the link below, to feast your eyes on this, truly, one-of-a-kind piece... Some beautiful, Post-Modern Art. A Canine Sculpture extraordinaire, in the raw, if you will. Meet Kingston! 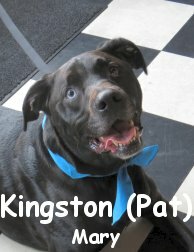 He is a very happy, four year old, seventy pound, Black Labrador Retriever Mix. Kingston had his assessment yesterday morning and had a marvelous time. This happy-go-lucky chap was ready to befriend any and all dogs that would reciprocate. 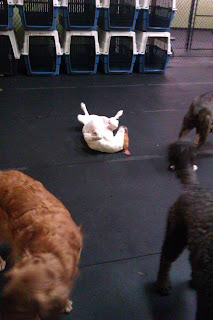 Kingston played and communicated well with the others in the Big Roll, he really took to The Fort quickly. Lucky for us, he is back today and doing well again. Mighty fine job there Kingston. Thanks for joining Fort Fido's Pack seamlessly! Happy Presidents day from all of us here at the Fort! Today we met Stella's super cool little brother Silas. 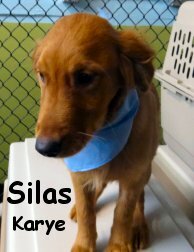 An adorable copper Golden Retriever, this little guy is super cuddly and just wants to be your best buddy. He loved all the people here, but wasn't quite sure what to make of all the other dogs, but he definitely enjoyed tearing it up with Stella! He's lucky to have such a sweet sister looking out for him. At four months old, Silas is in the prime window for socialization, and it's good that his owners are helping him to expand his experiences during this vital and impressionable time. I hope that we get to see him again soon! Last night we had an uninvited guest in the back! I posted on Facebook, because it was just too funny, but for those of you without an account (or who haven't "liked" our page yet :-P) check out the little newt who crawled on in. Poor guy was like a lint roller, sticking to all kinds of dog hair. We got him cleaned up and released back into the wild! Just goes to show-- always expect the unexpected! 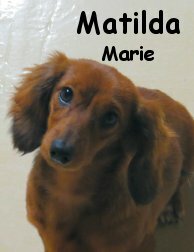 This morning we met sweet little Matilda, a pretty little six-month-old Dachshund pup. This little girl is gentle-spirited, and was quite alert and aware of her surroundings. She wanted to play, and spent some time chasing ball. Even though she plays at home with her (much larger) BFF Buddy, this was a whole new experience for her, and she took her time absorbing it and getting into the swing of things. 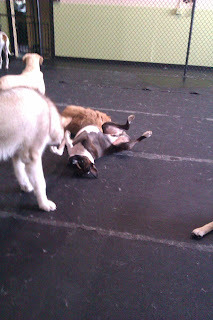 She's starting daycare at a really great time for socialization, and should start to really come into her own as she continues to attend with us. We're all really looking forward to seeing this little Matilda waltz! P.S. I didn't realize how much history the song "Waltzing Matilda" had behind it! I always just thought it was one of those basics from piano lessons as a kid. Check out the Wikipedia article if you are interested in learning a bit about Australia's history. Happy Valentine's at the Fort! Who could resist this little Valentine? I had to include this goofy picture to go with the goofy poem! Fresh from the water bowl or was it the toilet this time! Big wet kisses… Will you be mine? I’m leaving muddy paw prints… just for you! Even cats need a Valentine! I hope that you guys had a fun day with lots of candy ;-) If you haven't quite got your sugar rush yet, Nancy stocked up the lobby and feel free to grab a piece on your way through. P.S. 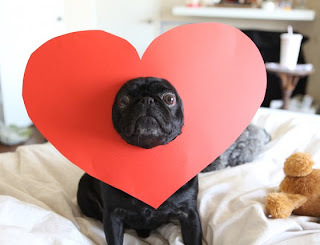 Ladies, if you're alone this Valentine's remember that you still have your pooch! And they might just be better anyway, haha. This one goes out to the ladies--click to expand and read the funny captions. First up this morning was Max. 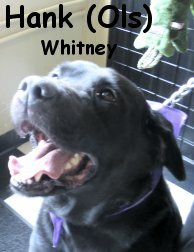 He is a lively, one year old, eighty-five pound, black colored, Labrador Retriever. Max was introduced to the Big Roll right away. He was eager to meet the pack and get straight to play. This strong and fun-loving Lab did very well at Fort Fido today. Max played hard for a long duration, Dog Daycare seems to be the perfect outlet for him. Today's second assessment was Schatzi. What a cool name right? A gorgeous animal, Schatzi, is a five month old, fifty pound, black & tan colored, German Shepherd. She hung out in The Fort's Medium Roll where she thrived. Schatzi began to perfect her "Meet and Greet" skills with the other canines... She's certainly sniffing, wagging and playing her way to becoming a well rounded canine. She was a pleasure to have here, and it was great to see her first day be so beneficial. Swell job Max and Schatzi. We hope to see y'all again soon. This rap artist character, Macklemore, has been getting rather popular these days. He is a Seattle native who's song "Thrift Shop" hit number one on the Billboard Charts. Recently, there has been some pretty funny parodies of his hit single and it's video. Check out this hilarious one from "Barklemore" promoting pet adoption. Enjoy! In other news... My wife, JM, was lucky enough to go on a tropical vacation to Tahiti with her friend and her friend's family. It was half-price too lol! Score! Anywho, although I was a bit sad that I didn't get to go, ok, jealous is the proper term, I did get to see oodles of great photos and video that she took throughout her journey. I wanted to share this dog related one with you all. Apparently there was a plethora of stray animals, dogs and cats, on the islands. This photo here, shows one of the many free roaming packs that she encountered. Wild! JM is quite the Cat Lady, so naturally, she had tons of cat pics... I'll leave those out haha. P.S. How's about that new screen eh!? Way to go Matt & Jacob, well done. This Weekend Jacob and I Installed a 32" HD TV in the lobby! It looks great and is a huge improvement over the picture frame we had before, so next time your in the lobby be sure to check it out. We also got a new camera so all the videos on the screen and the blog will now be in HD! Here are some of the many videos we took this morning with the new camera! Though canine psychologists and scientists say that dogs don't have an innate sense of guilt (rather, they are responding to your cues--body language, verbal language, and tone), some dogs can really make an impressive show of their "guilt." Check out this funny video of a dog who hides in the shower after her owner discovers the bedsheets that she destroyed. The Westminster dog show is back, February 11th and 12th. You can watch streaming video online at the Westminster official website, which will include the breed judging leading up to the main events starting tomorrow. This is the first year that will include comprehensive streaming coverage, in previous years we have only been able to see the best of breed. If you are a smartphone user, you can also download the iPhone or Android app! Britain is enacting a bold new measure that will require all pet dogs to be microchipped by 2016. Shrewd pet owners have already made the small investment in their pet's safety-- a microchip costs only about $30 USD, and can be a life-saver if your pet is ever separated from you. We have all read story after story about how this technology has brought pets home, over great time and distances even! Maybe we should consider lobbying for something similar here--too many strays are put down simply because their owners cannot be found. I spotted this warning on KOMO to keep xylitol away from dogs. It's kind of a funky sounding chemical, but there may be more in your house than you think. It is an ingredient in chewing gum and other sugar-free candies, and can trigger hypoglycemia in dogs. 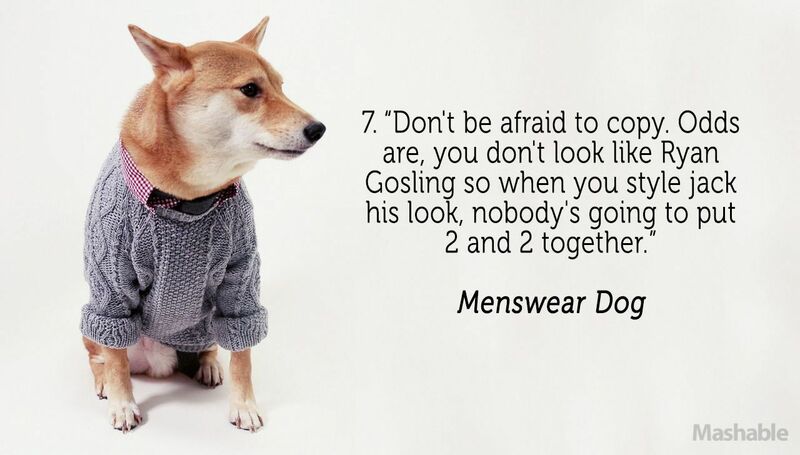 If you are looking for some men's fashion advice (and some good laughs), check out these gems from Menswear Dog! These Big Girls Were Seeing Red! 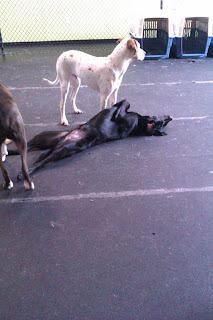 Rambunctious lab pup Red was on a roll today, tearing it up with all the big dogs! We caught him on film early this morning with the super sweet and sassy Olive, having a quiet romp before the crowds arrived. Olive was stuck to him like glue all day--she was just enamored with this high-energy pup! Dogs can be invaluable companions to people in all walks of life. Check out this story, of an ill homeless man who attached a note to his dog when he became immobile and worried he might die. Without a phone, he had no way to call for help. His dog was found, and police were notified, leading to a search that got the man to a hospital. Have a great night, and keep your own companion close--just in case! Today there was a lot of thrilling action caught on film from the medium roll (but don't worry, the little and big guys had tons of fun too!). In this first big clip, we see many pairs of dogs going at it: first little Mac and feisty Cody are having a romp, then we catch a glimpse of wild-man Gibson and rambunctious Emily frolicking, and lastly sweet Niko and lovely Jasmine keep it a little calmer but still fun. Newbie Titan is shown a few more of the ropes by Auckie; these two had a great time together on and off all day long. 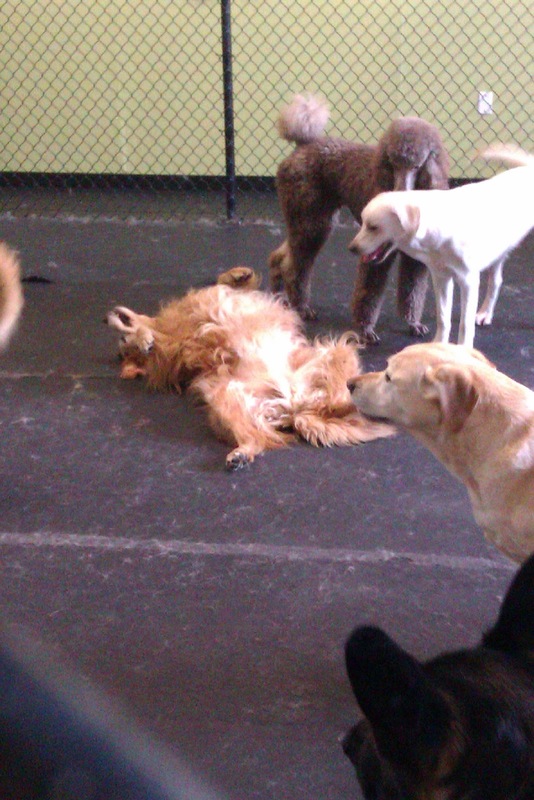 Walter (who is always a hit with the ladies) can also be seen playing with adorable doodle Ruby. Have you seen this picture of the "dog with a human face"? I'm on the fence of whether he is cute or a little creepy, but Tonik is lucky to be the subject of so much media attention--homeless pups that make the news often have dozens of adoption applications from all across the country! Hopefully those who do not get Tonik will head down to their local shelter and rescue a less famous face. P.S.--This is completely unrelated, but who doesn't love pictures of adorable polar bear babies? From The Fort's Little Roll! First, Marlee, was introduced to a wonderful canine puzzle game that we use here often. You take a medium or large sized Hol-ee Roller, stretch it out, and stick in a Chuckit Fetch Ball or other small sized ball. This combination, makes the perfect cheap and durable brainteaser for your doggy buddy. A toy that makes them think, like this one we have concocted, is valuable to us. 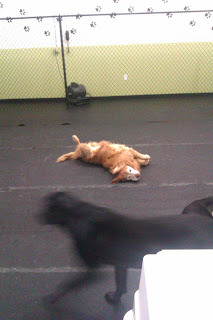 Today it kept Miss Marlee, among others, content and busy for awhile. The dogs took turns attempting to get the small ball out of the big one. It's hilarious for us to watch and too fun for them. It is very unfortunate that the hiker was not found alive, but way to go Kentucky! Maybe this finding can aid in closure for the hiker's family. "Dognition" asks, how smart is your dog? Somebody has got to get this app. and try it out. I'm a bit of a dinosaur with an old phone lol. Wow! I'm a sucker for stories like these. What a wonderful moment for all involved. That dog brings new meaning to "Dora The Explorer". This certainly relates to the story above, it sounds like a great book too. Anybody out there read it? Nice article. 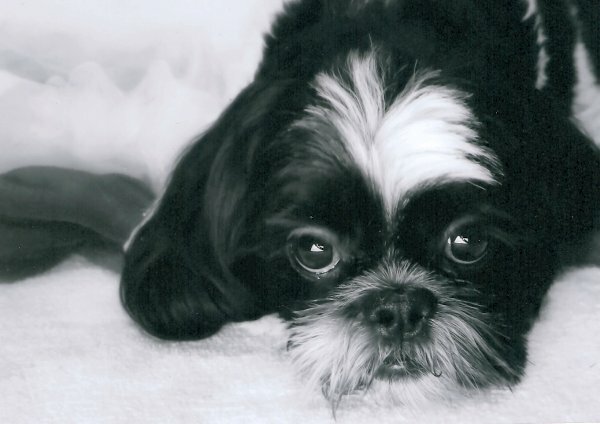 It gives a bit of insight into why some of the most popular dog breeds are so popular. I'll vouch for the fact, that a dog with short-hair or "Poodle Hair", is definitely a plus. Especially when taking on grooming and striving for house cleanliness haha. I don't know any other way to say it, this is badass! How cool would it be to train a "Truffle Dog", then actually find some truffles? Not only are they a tasty delicacy, but they are extremely sought after and quite expensive. Darn, if only it was easier to farm this fungi, people are attempting different methods but it isn't easy. We got some great clips from the big roll today. This first one is of Jack (The Yellow Lab) and Olive (The Dalmatian) having some fun early this morning. these two seem to be great friends whenever they're here together. These next two clips are of Red (Another Yellow Lab), Gus (The Newfoundland) and Samson (The German Shephard mix). These three were a great match, having fun and playing hard all morning! 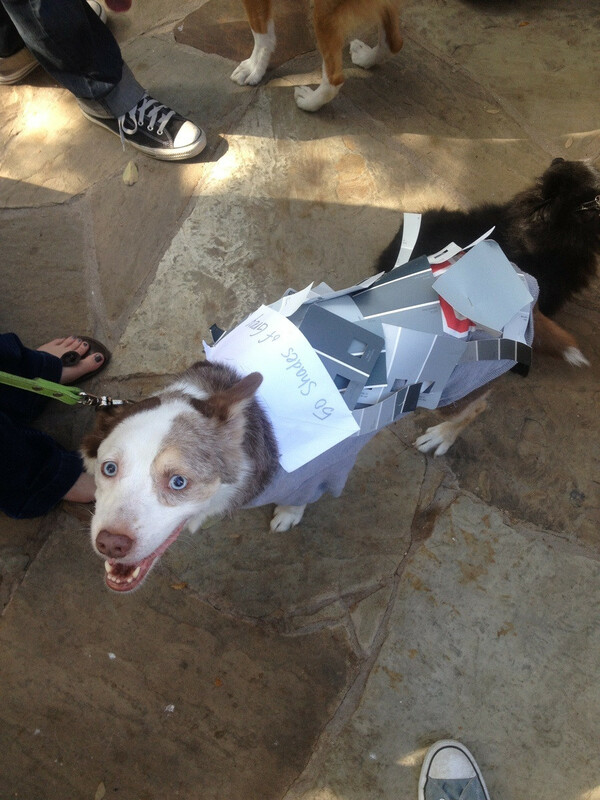 From reddit, a funny doggie costume (even the canines got into this bestseller, it seems!). This is the very definition of patience! Another oldie-but-goodie, this pup isn't yet quite sure of where his body is or how to use it. Haha! Though I never manage to catch these moments on film, I'm sure we've all had some hilarious and cute encounters with dogs. I'm so glad that they get to be such a huge part of my life! 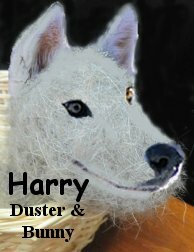 Hairy Harry or Why we go through vacuums in a hurry! We met Harry yesterday, when we found him rolling around downstairs! This fluffy little mutt might be related to any of the dogs we had in here that day-- he's a cute little mix of everything. Even though he weighs less than a pound and is probably the size of a guinea pig, we could tell that Harry belonged with the big guys. 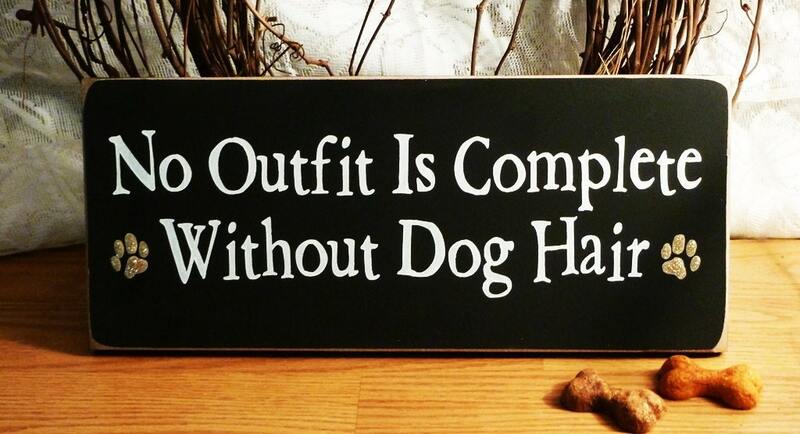 Especially true when your pup has both black and white hair- some for every shirt! He was a calm little guy, only getting very active when other dogs tried to play with his loose fluff. After I noticed the pups getting a little too exuberant, I swept him up and brought him up front for his photo. Harry is a constant battle here at the Fort--no matter how many times he gets picked up and put where he belongs, he just shows up again in all the strangest places! Under the fridge, on and under carpets, even sometimes right back on other dogs! 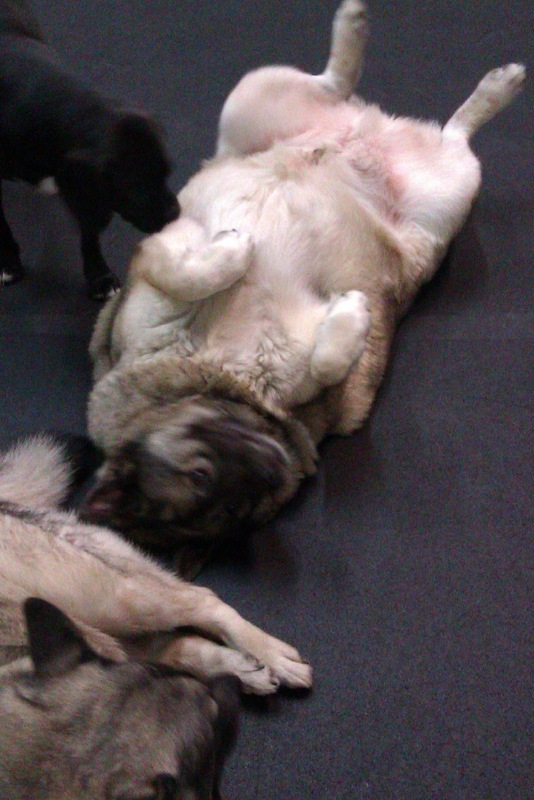 Still, it wouldn't be Doggie Daycare without a few like him here each day. Now that might be going too far! P.S.--In case you haven't had enough of hair jokes, here are ten reasons that your dog's haircut costs more than yours. 9. You don't go for 8 weeks without washing or brushing your hair. 8. Your hairdresser doesn't have to give you a sanitary trim. 7. Your hairdresser doesn't have to clean your ears. 6. Your hairdresser doesn't have to clean boogies from your eyes. 2. You don't bite or scratch your hairdresser. (I hope not anyway).